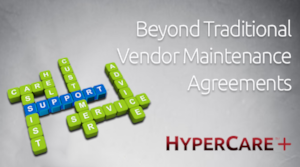 HyperCare+ goes beyond just covering BPM systems and helps businesses manage their unique solutions by working with you to understand, support and grow your personalized applications. How do we do this? 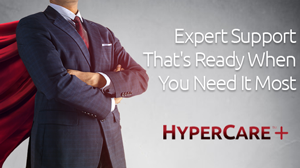 HyperCare+ only staffs senior experts certified in the leading workflow platforms and experienced in hundreds of legal application designs and implementations. These include today's most popular solutions as well as long-established legacy BPM implementations, including Intapp OPEN, Metastorm BPM, K2 blackpearl, Adobe/Jetforms, and Thomson Elite solutions. We also help manage upgrades and migrations for legacy implementations. Not only do our experts provide support and maintenance services for your process automation solutions, we also address any defects in the production processes as they may arise, including technical support and maintenance, process maintenance and change requests for Covered Systems. Our SLA-driven phone and ticket-based support program provides for access to our Process Automation experts when you need them. Normal support hours are available from 8am to 8pm in every US time zone, Monday through Friday. Our staff will make every effort to respond to critical issues within 4 hours of notification, and non-critical issues within 1 business day. 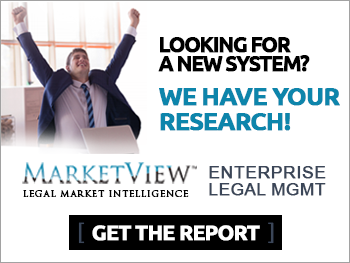 We've been supporting the world's leading legal BPM implementations for 10 years, and our experience speaks for itself: 98% of support requests are answered within 2 hours of submission, and 85% of our support tickets are completed within 1 business day. Support is also available outside of our normal business hours for 'System Down' and other critical issues, or when scheduled in advance for resource availability requirements. HyperCare+ is a simple annual renewable contract that provides all-inclusive professional services without hourly charges. After the consultation, the fixed annual fee is established and can be paid monthly or pre-paid annually. For more information about HyperCare+ and the extensive Program offering, please visithypercare.netor email hypercare@hyperiongp.com.